An interesting mix of books will be arriving at comic shops this week. First and foremost is Vertical’s soft-cover version of Osamu Tezuka’s MW. This is one of my favorite comics by Tezuka, as you could probably guess from my really long discussion of it with Tom Spurgeon. Kate (The Manga Critic) Dacey is giving away four copies of the book, and she takes the opportunity to revisit her review. Staying with the classics, CMX releases the 15th volume of Kyoko Ariyoshi’s peerless ballet drama, Swan. In a weird coincidence, I’ve also written about this one at length. Underground (Image), a nifty mini-series written by Jeff Parker and illustrated by Steve Lieber with colors by Ron Chan, concludes with its fifth issue. I can’t seem to find a cover image, but you can go visit the title’s site and see some sample pages. I’ve enjoyed this cave-bound tale of rangers versus no-good developers quite a bit. 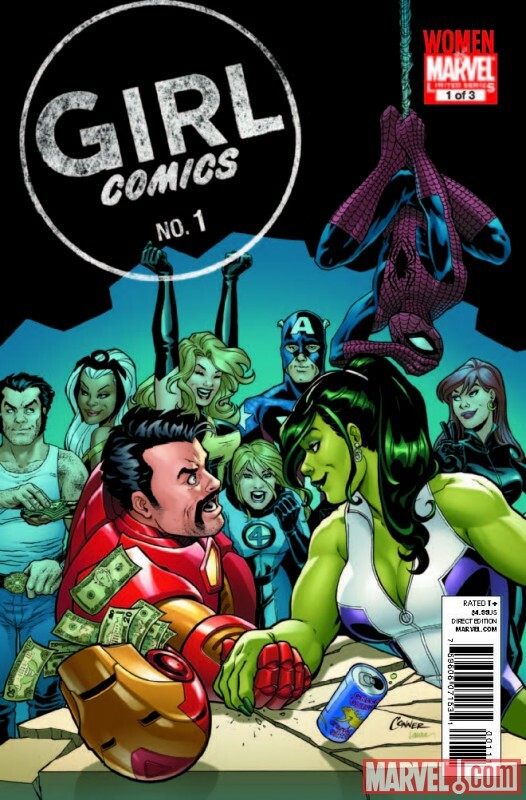 Marvel gathers a whole lot of talent for its three-issue Girl Comics mini-series, which debuts Wednesday. It’s got a kind of unfortunate name, but what’s new about that? The participation of Colleen Coover will probably meet the price of admission, at least for me. You can take a look at several preview pages over at Comics Alliance. 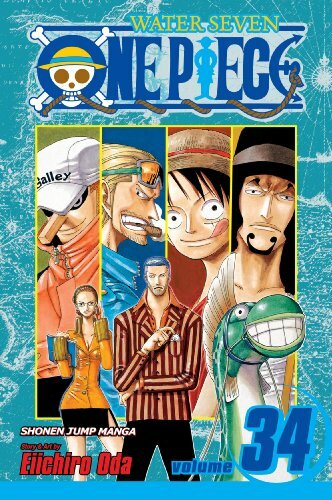 Or you could just dump all of your comics budget on new volumes of Eiichiro Oda’s One Piece from Viz, specifically the 34th, 35th, 36th, 37th, and 38th. I won’t lie; I’d almost entirely support that decision, because I’ve developed a seriously unhealthy addiction to this tale of dimwitted pirates and the out-there friends and foes they meet as they pursue big dreams. But if you did that, you’d be denying yourself the pleasure of the ninth volume of Chica Umino’s Honey and Clover, so my support for an Oda-centric purchasing strategy must be at least partly qualified. And really, after five volumes of nutty high-seas adventure, won’t it feel nice to decompress with some quirky, art-school drama? You are currently browsing the The Manga Curmudgeon blog archives for the day Tuesday, March 2nd, 2010.